THE WISDOM KEEPERS are charismatic representatives of indigenous peoples and Wisdom traditions from around the world. Over the centuries, their communities have developed ancestral practices and world-views that allow them to live with joy upon, and without causing harm to, our earth. Elders from these beautiful, pristine traditions, in many cases after hundreds of years of isolation, have recently started to leave their lands for the first time in order to actively forge connections with western, mainstream audiences—moved by the rate of environmental destruction they see in their ancient lands, and the urgency with which they believe we must change course as a species. This July, an incredible group of these lineage holders will for the first time travel to London to share their wisdom and teachings first hand. During workshops, roundtables and at ceremonies at 42 Acres Shoreditch and at the Kiva Global Gathering of Elders, they will offer in-depth experiences of their sacred traditions, and insight into how much we stand to gain by embracing values and cosmologies that are in harmony, rather than at odds, with the Earth. Humanity’s relationship with the Earth on which we depend has never been in such jeopardy. Modern culture is in crisis, with the values and cultural aspirations of modern society failing to deliver fulfilment and connection for many people. The Wisdom Keepers offer us the tools, the roadmap and the inspiration for how to live radically different, radically happier, more harmonious lives. Being in their presence is almost universally transformative. What we’re setting out to do with The Wisdom Keepers project is to build a movement—for all of us who care passionately about our planet and who want to defend its ancient ecosystems, its sacred traditions and cultures. We are a fledgling collaborative of people from all walks of life and from every corner of the globe who believe that we, in industrialised economies, have grown dangerously disconnected from the planet and our impact on it, and that we all stand to benefit from reacquainting ourselves with the notions of interdependence, of reverence and reciprocity for the earth that the cultures of the ancient wisdom ways have managed to preserve. The Wisdom Keepers was born several years ago, as more of a calling than a plan, when a handful of us started to see increasing numbers of elders from some of the world’s most ancient wisdom communities—tribes living everywhere ranging from the Amazon to Japan and that we had links with via anthropologists and activists—taking the unprecedented step of leaving their lands in order to go out into the world and act as ambassadors on behalf of their communities, their lands and the planet. These individuals, many of whom had long held it as an almost-sacred principle to shun outsiders, were suddenly actively looking for ways and means to communicate to the wider world the urgency of the change they saw we needed to make as a species. Many of these leaders were responding to visions, or sacred prophecies; others had read the runes writ large on soil that their tribes had known intimately for generations, and had come forward to attempt to slow the pace of land and species loss. Others were compelled to act after they found themselves on the frontline of resource wars, dangerously under-resourced foot soldiers in violent confrontations with logging or oil companies. Strikingly, the messages these elders carry from their once-pristine lands is entirely consistent with the growing consensus from the scientific community: that the loss of our most biodiverse regions will be catastrophic for us all, that it is time to change the way we live, and that we have until the middle of the next decade to turn the corner. These Wisdom Keepers' readiness to step forward with this message also coincides with a time when we, in the industrialised west, have begun looking for ways to tread more lightly on the earth in greater numbers than ever before—when more and more of us are seeking to equip ourselves with practical tools and techniques to live in harmony with nature, and feel in desperate need of new role models. We formed The Wisdom Keepers as a response to these three forces—the growing number of elders approaching us and seeking a platform for their voices; the growing sense of urgency, backed up by scientific data about our need to change course as a species; and the growing yearning in the west for experiences that will help us live differently, more reverently, on the earth. Our primary focus therefore is on experiential education: we seek to create opportunities for these ambassadors from sacred wisdom traditions to connect and share their wisdom with mainstream audiences so that ever greater numbers of us are able to hear their messages and draw inspiration from their way of life, and begin to integrate these teachings into our own lives. But our ambitions don’t stop there: ultimately, we seek to forge a community, or ecosystem, of action: a people-powered movement that will stand with and raise our voices on the behalf of these tribes and their lands when they are under attack; to mobilise resources to support these tribes to leapfrog the use of fossil fuels, helping them to instead adopt appropriate technologies in energy, health and education that will build on, rather than destroy, their ancient systems of knowledge. This July The Wisdom Keepers are hosting a series of experiential workshops at 42 Acres Shoreditch, so Londoners can encounter a wealth of ancestral indigenous and Wisdom traditions from around the world at first-hand. Hosted by representatives from many traditions, including the British Isles’ own Celtic and Druidic traditions, the series includes sacred tobacco, cacao and hape workshops, roundtables of indigenous perspectives on sacred activism, explorations of where science and ancestral knowledge systems converge and a wealth of practical tools to help us navigate modern life. 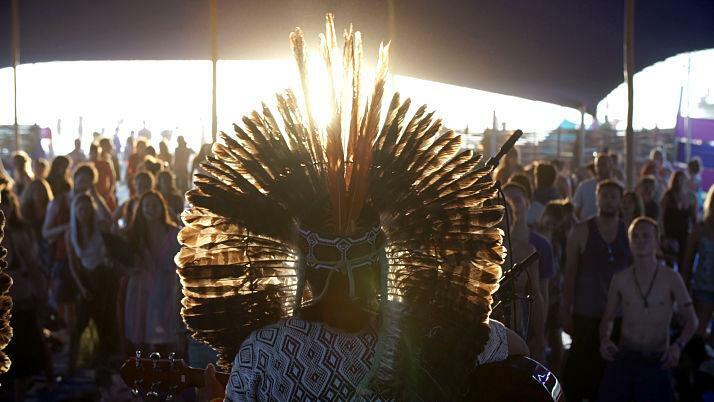 We began The Wisdom Keepers in 2015, when we were given the opportunity to pilot a festival that would reignite the ancient ways through a gathering of elders. We gathered 150 people to a beautiful forest in rural England, and invited representatives of the Wixarika, Amazonian Kiwcha, Druidic, Origine and Dogon traditions to share their cosmologies, philosophies, prophecies, sacred rites, beliefs and customs. The feedback we got was powerfully positive—people felt revivified, challenged, focussed and wanted to experience more, and to give back. 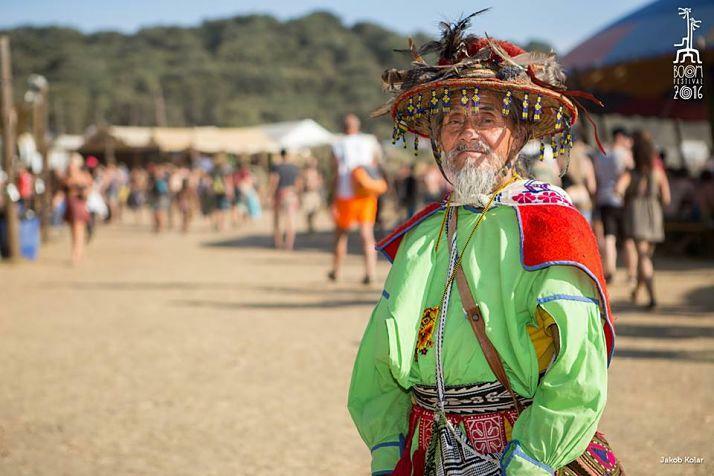 The following year, BOOM Festival invited us to bring 12 Wisdom Keepers to lead talks and run workshops, and the Wisdom Keepers collectively, and incredibly powerfully, opened and closed the 2016 festival. In 2017, we took part in the Oregon Eclipse, an incredible, one-off gathering of 15 independent festivals from all around the world collaborating for a week-long festival in nature, including Rainbow Serpent (Australia), Origin Festival (South Africa), Envision Festival (Costa Rica), Ometeotl (Mexico), Universo Paralello (Brazil) and Re:Birth Japan. We have seen many people find The Wisdom Keepers’ message compelling, inspirational, and lit the spark for their own journey of transformation. We think many of our mainstream institutions and leaders are failing to step up to the scale of the challenge we face as a species. We believe civil society has an enormous role to play in trying to press for change and that festivals can have an incredibly catalytic impact on society. The past 20 years has seen an extraordinary explosion in the number of festivals happening worldwide—we now have 1.4M festivals on this planet each year. Some of these are plain old hedonistic parties, but at their best they amount to much more besides: these are temporary communities, drawing people together through shared values, a desire to live closer to the land than our ordinary lives allow, an urge to play and dance and experiment with different ways of life and to forge new connections and gather inspiration. 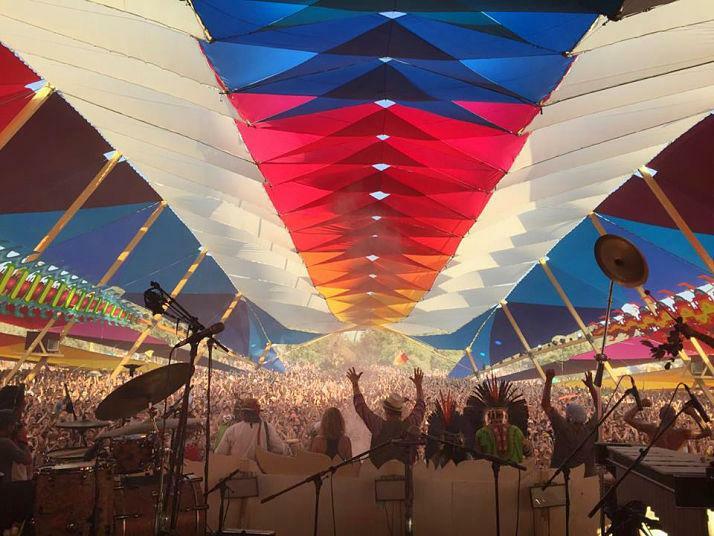 We are seeing increasing numbers of co-created, leave-no-trace festivals, whether franchises of Burning Man or totally independent outfits, that are phenomenal crucibles for entirely new paradigms in culture, livelihood and technology. A by-product of the huge push needed to create infrastructure robust enough for each one of these vast temporary cities is that thousands of people are learning how to administrate, design, house, water and keep healthy enormous populations. These are our 21st century seedbeds and hothouses of creativity and innovation, pointing to the viability of radically different, low-carbon communities. Some of the most successful festivals are starting to expand and establish themselves as more permanent communities—buying land and even establishing themselves as media owners. People are being changed and impacted on a huge scale by their experiences at festivals, they have the power to shift people’s behaviours and attitudes in a markedly different way to how they did a generation ago. These moments, when we step off the humdrum merry-go-round of our often-metropolitan lives, are when we are at our most receptive to new ideas, new modalities. Giving The Wisdom Keepers real prominence throughout the programming of such events can have a powerfully transformative impact.